Comfortable, stylish, modern and make any man look like Steve McQueen. Good quality and value for money but nothing exceptional. It will be of interest to see how it wears. Lovely quality merino wool. 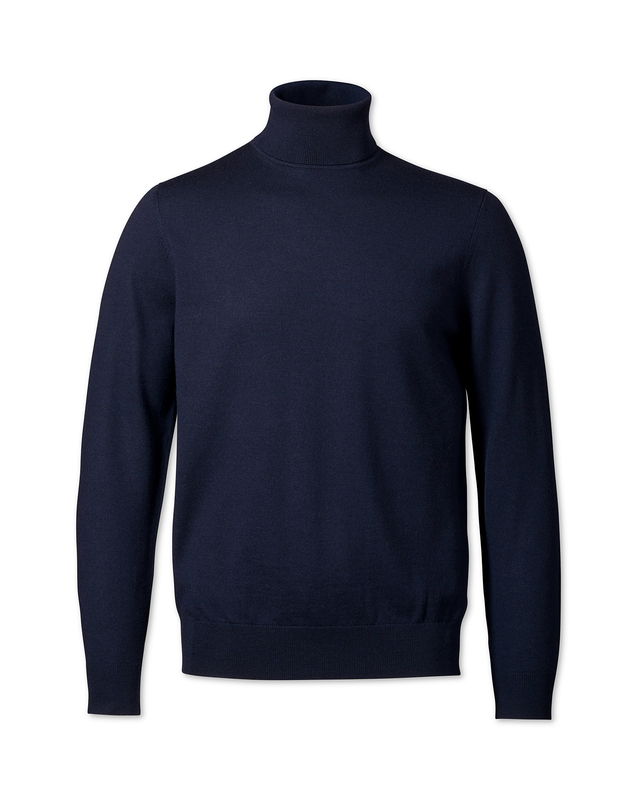 I had been struggling to find a navy merino wool roll neck jumper until I found this.... I look forward to purchasing more, in other colours, next winter. P.S. I am female so would like the option of buying a smaller size, maybe!